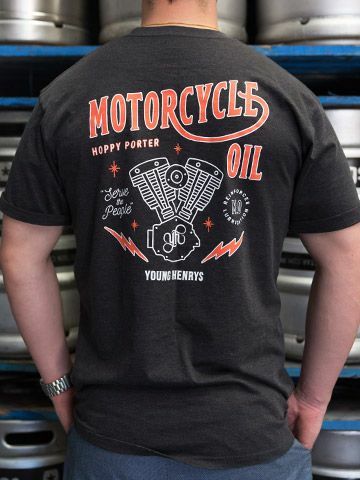 Motorcycle Oil is a smooth, hoppy, black beer with mild bitterness, roughly based on a hopped-up American porter. 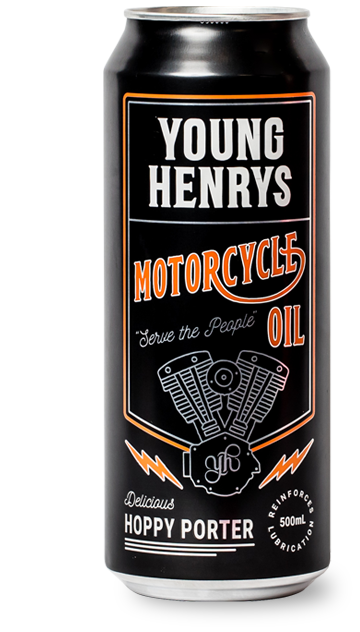 Originally brewed as a small batch in 2017 it’s back in black by popular demand, bigger and bolder as this year’s YH Winter release: Available from the 1st of May. We tested the track with a couple of cases at Ellaspede's Dust Hustle 6 and the People seemed pretty positive about its performance benefits. Trackside tinnies at Australias most well-lubricated precision racing event seemed only fitting. Since then, it's been distilled into a black ramen by our mates Rising Sun Workshop and a chocolate porter cake by dessert demi-god Andy Bowdy. Check this album from LWA to see all that deliciousness. 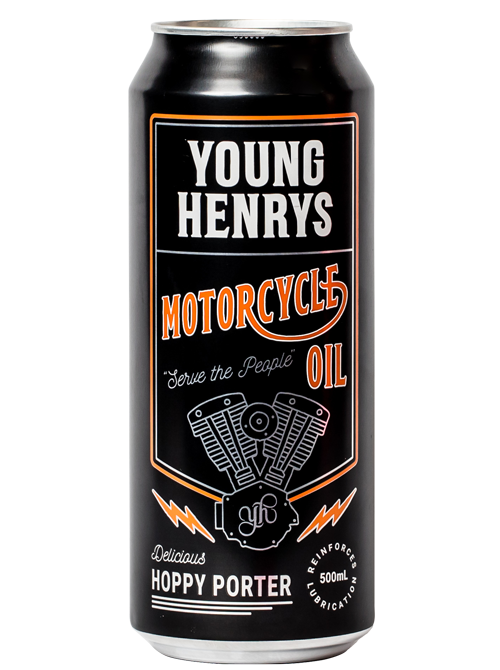 And now, sporting a new 5.5% ABV and 500mL can, Young Henrys Motorcycle Oil is ready to grease gullets and stock shelves at your local whistle-whetting workshops. 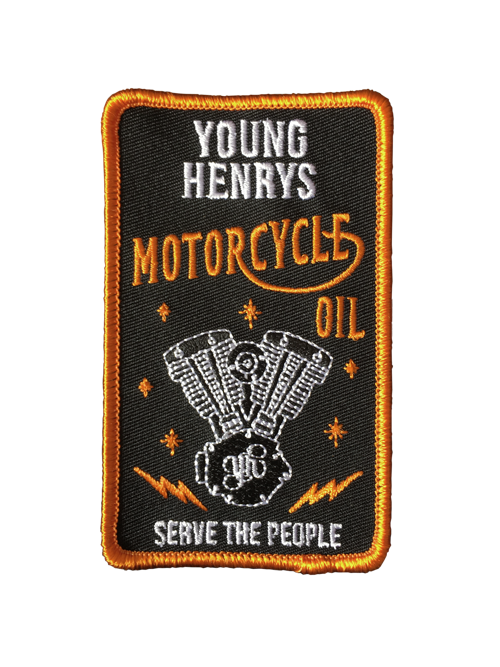 If your local isn't on the map and could use a little Moto Oil in their lives, feel free to shoot them our contact details. 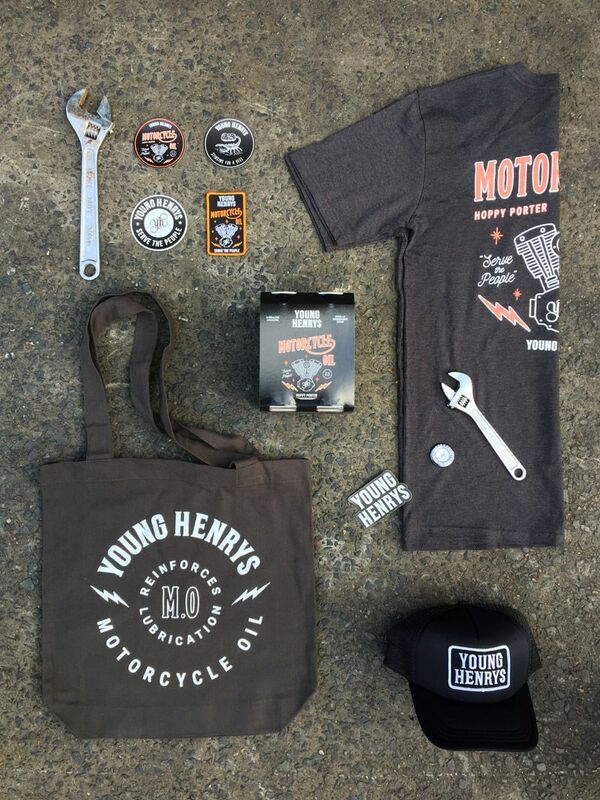 Email info@younghenrys.com or call us on 02 9519 0048.